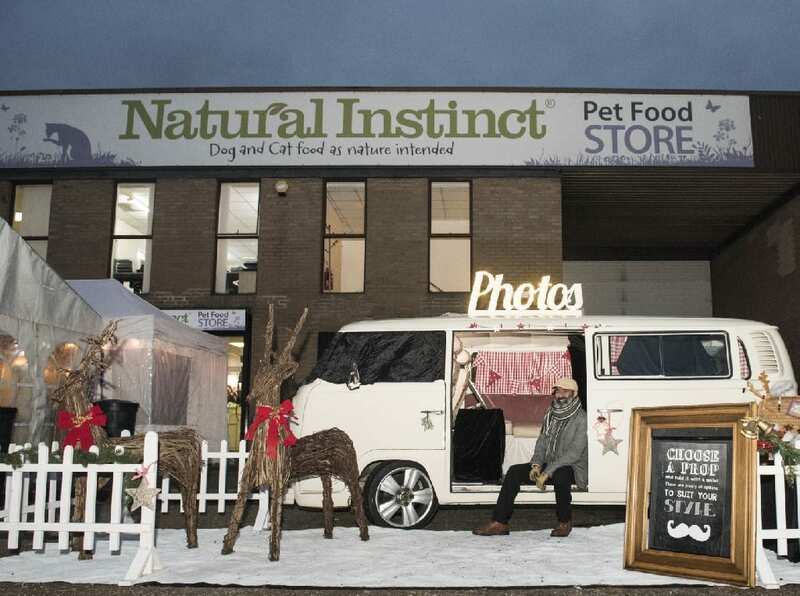 Our Campervan Photoboths love nothing more than to get dressed up for a festive theme – so we were thrilled when Natural Instinct booked our Xmas Surrey Campervan Photoboth for promotional event. To add a really interesting dynamic to this event, we would be inviting pet owners and their dogs into the camperbooth to strike a pose. The dogs looked super cool in their festive props, including reindeer antlers and santa hats! We are used to our four legged friends in the camperbooth, and have run quite a few dog photobooths for promotional events and pet brands now! Every guest was provided with a branded instant print – and images could also be downloaded from our secure online gallery after the event. 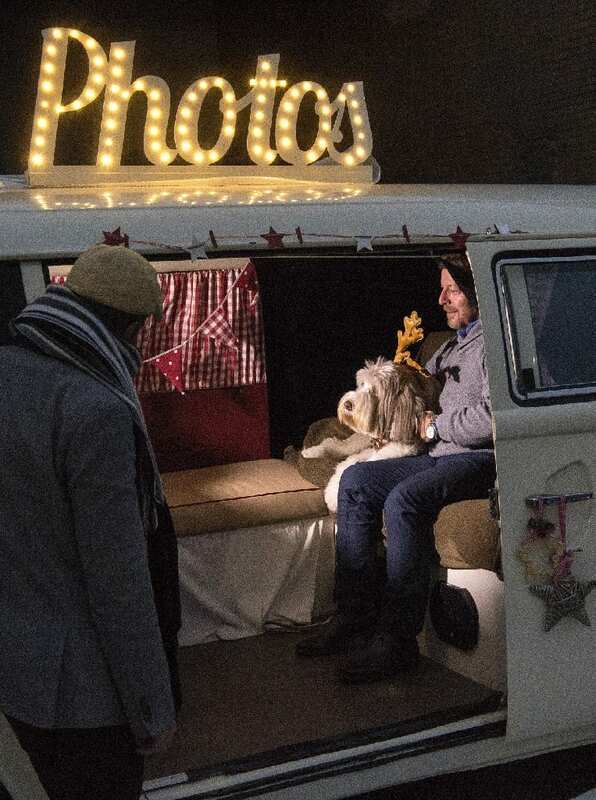 The campervan photobooth really looked the part, with it’s HUGE light up “Photos” sign on the roof. We had some rather special guests on the day, to include two real reindeer brought to the show by another supplier. They made good friends with our own wicker reindeer! 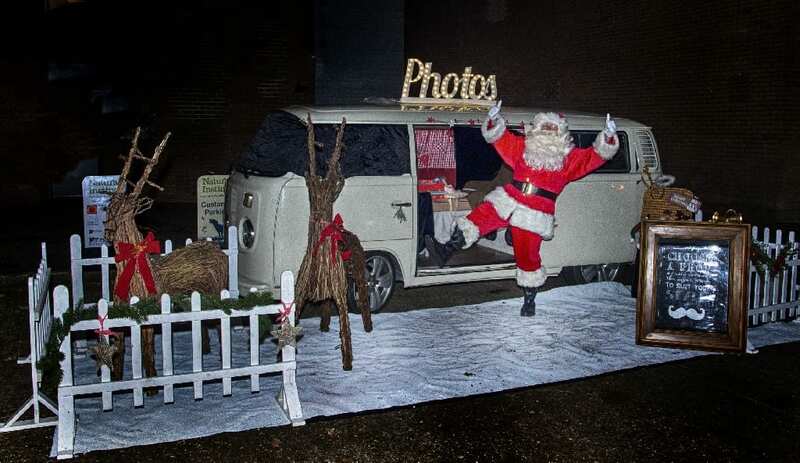 We also had the pleasure of meeting Father Christmas, who enjoyed taking part in the campervan photobooth, and posed with a few of the dogs too! 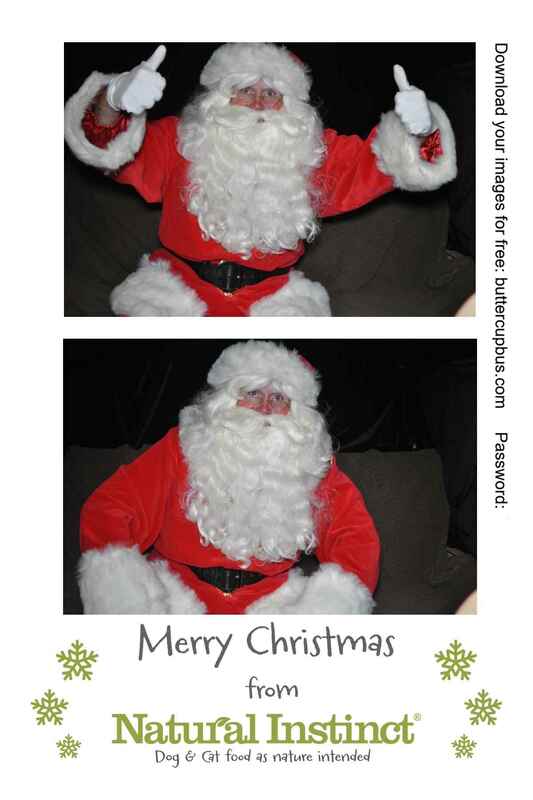 You can see a picture of Santa in the instant prints below, along with a photo of me with one of our Buttercup Bus team members, running the photobooth! Never a dull day at work eh? Ha ha! If you would like to find our more bout our campervan photobooths, check out our branded camoervan photobooths for promotional events or indeed our standard VW Camper photobooths for private events. Photo credit to Kevin Hicks, who took photos of our campervan photobooth service on the day. 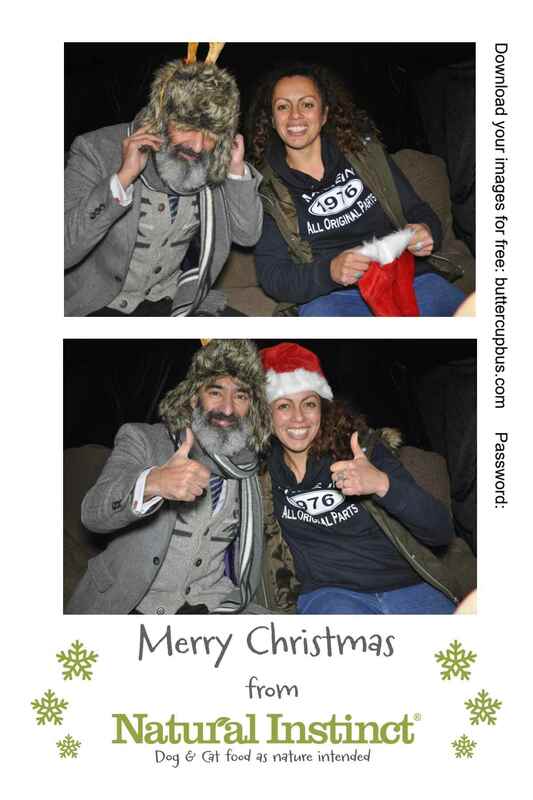 Instant prints produced by Buttercup Bus VW Campers as part of the campervan photobooth service. Oh that looks super cosy.. I want to be in that campervan right now! Absolutely brilliant! You never cease to come up with fun ideas for your clients Nathalie! You have to love a VW camper…. What a Christmassy set up. That must have been fun with all the animals in the photo booth!!! It was great fun – the camper became a “woofwagon” for the day! Being local, you must pop by for a Cuppa and a spin! This made me smile. Such fun. You work so hard! Have a wonderful Christmas!